These dual Mbulu Viti Kota figure was a guardian of the relics of venerated ancestors, atop a reliquary basket containing relics. (skulls or fragmental bones). 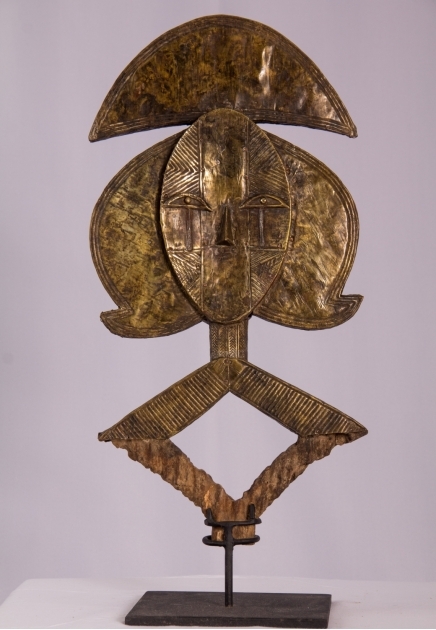 The opposite's images are evocative of the Kota dual conception of divinity: (the convex) Nzambi Watanda, the sun; (the concave) Nzambi Wamutsele, the deity of earth and water, associated with the moon, fertility and the ancestors. As well, life and death. 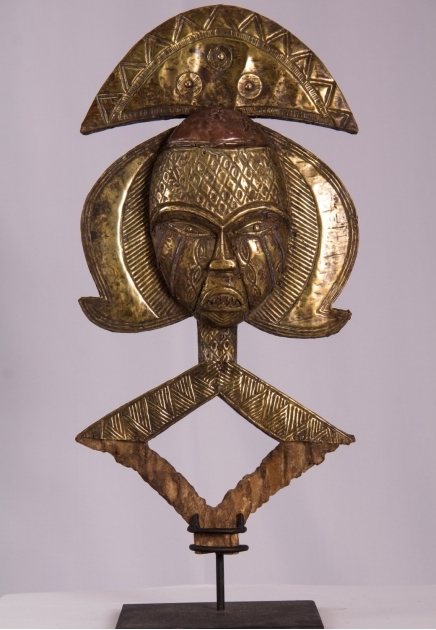 The Mbulu Viti figures were invoked in times of misfortune, death, crisis, infertility, hunger expecting to strengthen the community magically, to ensure benevolent protection and the well-being of the peoples, to increase fertility, success and good health. 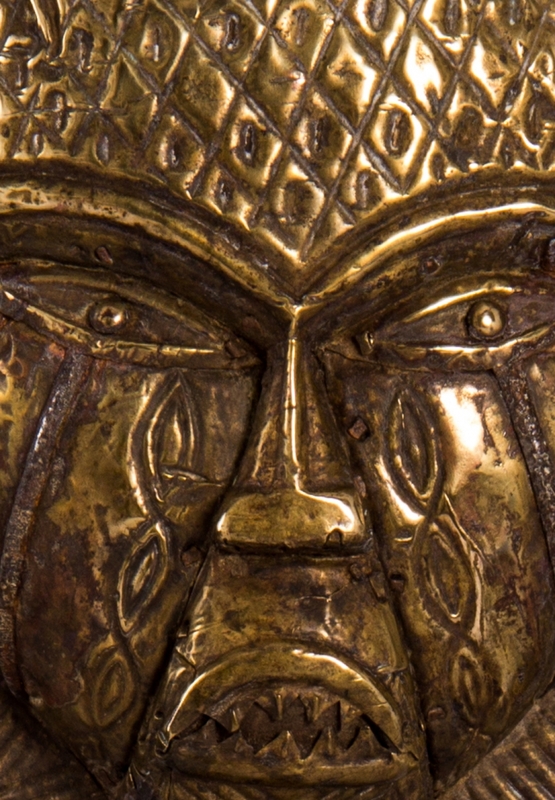 The opposing faces are strongly contrasted: the convex side has a fierce threatening realistic expression, while the abstracted concave face has a calm meditative expression (E. Andersson 1974: 163-8 cited in LaGamma 2007: 252-258).